Check out Tobi's Sidebar Cut Out Jumpsuit The Sidebar Cut Out Jumpsuit is both chic and sassy. Featuring side cutouts, functional pockets and a zipper closure, this classic jumpsuit was made for work or play. Style with peep toe mules or oxfords. The Sidebar Cut Out Jumpsuit is both chic and sassy. 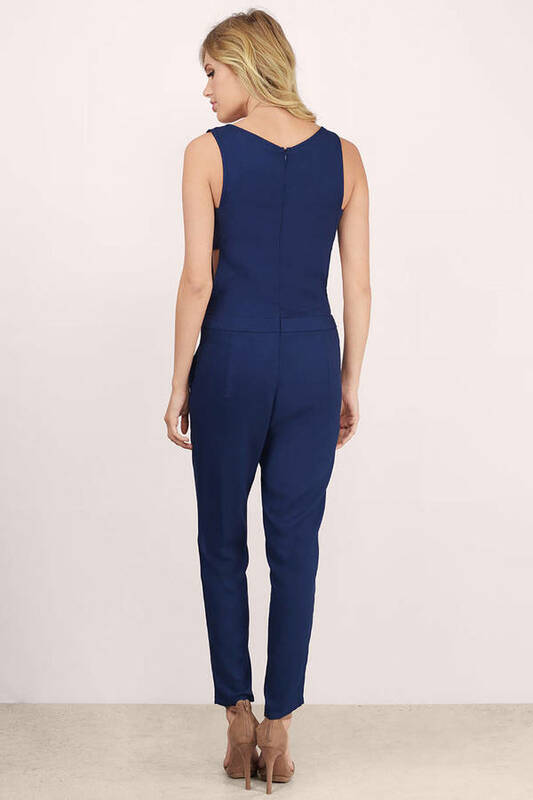 Featuring side cutouts, functional pockets and a zipper closure, this classic jumpsuit was made for work or play. Style with peep toe mules or oxfords.